Justice For Iran--Although a month has passed since the start of the suppression of dissent in different cities of Khuzistan, so far no security or judicial official has offered any responses regarding the details surrounding the death of two detainees and the conditions of others currently imprisoned. So far, over 60 citizens of Shush, Ahvaz, and other southern cities have been arrested while participating in protests or at their respective homes or place of employment. Death of two of the individuals, Mohammad Kaabi (detained at Shush) and Naser Albushokeh (detained in Ahvaz), have been reported to their families by the officials at the Office of Intelligence. The new wave of suppression of the protesters of Ahvaz started on the night of Arba’in ceremony in mid January 2012, where traditionally, people gather at prophet Daniel’s tomb in Shush. On the eve of January 13, 2012, a group of Arab youth of Shush organized a demonstration and chanted “Hurriyah, hurriyah! Sha’b Ahwazi Nadiyah!” (Freedom, freedom! People of Ahvaz are calling.) They also chanted slogans regarding the boycotting of the election due to the unofficial start of the election campaigning in Khuzistan province. So far, names and identifying information has been published about 25 individuals who were arrested either during the demonstration or shortly thereafter in Shush. Mohammad Kaabi, 35, was one of the individuals arrested during the demonstrations. 20 days after his arrest, on February 2, his family was informed of his death. Mohammad Kaabi, 35, was a student of electrical engineering at Dezful Azad University. He worked as a farmer and was married with two children, a five and an eight year old. His wife, Khadijeh Kaabi, was arrested at their home shortly after Mohammad Kaabi’s arrest and has since remained in custody while she is four months’ pregnant. Sajjad Kaabi, another arrested individual from this family, is only 17 years old and a student at the pre-university level of secondary school. Two photos of Naser Albushokeh, L – A few days prior to his arrest; R – after his death in Golestan Hospital’s morgue in Ahvaz. Naser Albushokeh was one of the 35 individuals arrested in Ahvaz and the suburbs within the last two months, charged with crimes of writing slogans on walls regarding boycotting the upcoming parliamentary election, changing faith from Shi’a to Sunni Islam and other such charges. The body of Naser Albushokeh was in the morgue at Ahvaz’ Golestan Hospital for 11 days throughout which the intelligence officers of Ahvaz would not permit his family to bury the body. Finally, the permission was granted conditional on the family not sending any invitations for the burial and mourning ceremony. For this reason, the family had to bury the body, against their will, in Khalaf Abad (Ramshir) city, 100 kilometers from Ahvaz, next to their family lot. According to Kamal Albushokeh, “signs of beating and injury was very evident on the body of Naser Albushokeh.” As soon as they heard of his death, family members of Naser filed a complaint with the Prosecution Office of Ahvaz but although they requested one, the Medical Examiner refused to give the family a formal statement reporting the cause of death. Instead the ME’s office verbally told the family that death had been caused by suffocation and bleeding. During the ten days they were not granted permission for burial, the family of Albushokeh, faced with the lack of regard on the side of the inspector working on the case in Ahvaz, travelled to Tehran and to the office of General and Revolutionary Prosecutor of Tehran where they filed an official complaint but were eventually sent back to Ahvaz. Although the family has repeatedly attempted to follow up the case, the Judicial officials in Ahvaz have so far offered no explanation to the family regarding individual(s) responsible for Albushokeh’s death. 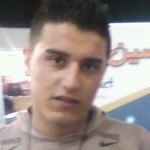 Naser Albushokhe, born 1993, was only 19 at the time of death. He was employed at a clothing store in Naderi Street of Ahvaz and was arrested in that location. As soon as reliable news came out about detention of dissidents in Khuzistan and the death of two of them in custody, in a call-to-action, Justice For Iran requested more information about the identities and the organizational affiliation of those who committed these despicable acts. Families of Mohammad Kaabi and Naser Albushokeh, in response to the call-to-action, called the Intelligence Office of Khuzistan, particularly the Intelligence agents of Shush and Ahvaz, responsible for the acts. The location of detention of those arrested, including the two who have died, has so far remained unclear. However, Saeed Debat says that local reliable sources have spotted officials form the Basij Resistance Office of Hazrat Abulfazl of Shush, as well as the Intelligence officer of Shush, amongst those arresting the protestors. Justice For Iran continues to research the matter to find further information and verify the current information about the organizational connection of those mentioned. Meanwhile, Mohammad Sadegh Jamshidi, Head of Shush’s Office of Justice, a month prior to the arrest of protestors, spoke to Islamic Republic News Agency (IRNA) and said, “Shush’s Justice system will seriously combat any form of election crimes, causing insecurity, tension, and breaking the law in the society.” Therefore, it appears that the judicial officials of Shush were involved in the arrests and encountering that took place from the start. Following up on its first call-to-action, Justice For Iran will continue its research to identify the officials and organizations responsible in detention, torture and death in custody, unwillingness to offer information to the family, refusing to allow access to attorney and other instances of human rights violation that happened to those detained in Khuzistan. 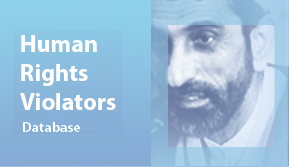 Justice For Iran also calls on all those who may have information about the judicial, security and intelligence officials responsible for widespread and severe violation of the rights of dissidents to share their information in hopes of identifying violators of human rights in Khuzistan and, by doing so, refuse to allow such acts to continue taking place in secret. 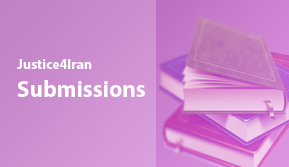 Once again, Justice For Iran would like to call on all individuals who themselves or their loved ones were victims of human rights violation to share their testimony, informations and documents regarding such violations, particularly in the Arab residing areas, no matter how insignificant they may be, in order to contribute to Justice For Iran’s human rights violators data bank. After careful review and authentication of all the information provided to Justice For Iran, we will make them available to the public. For more information about this matter, look at Justice For Iran Call-to-Action for Identifying those Responsible for the Murder of the Detainees in Khuzistan.